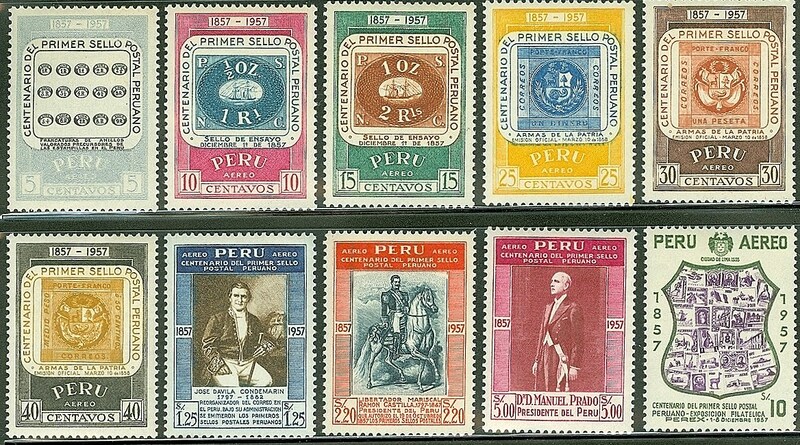 In 1957, Peru issued a colorful set of ten stamps celebrating the centenary of its first postage stamps (Scott #C131-40). 50,000 sets were issued, and Scott '13 prices the unused set at $ 10.25. 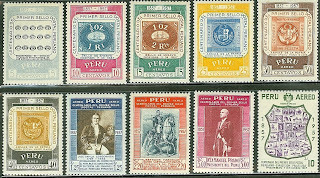 The set should do well as Peru's stamp collecting population develops, and it also has appeal as a Stamp-on-Stamp Topical issue.